Robert Storr joins the Halsey Institute and the School of the Arts at the College as the 2017 Quattlebaum Artist-in-Residence to discuss the state of realistic representation in painting over the past several decades. His talk will be held in the Simons Center Recital Hall on Thursday, September 14 at 7:00pm in coordination with the exhibition Marc Trujillo: American Purgatory. 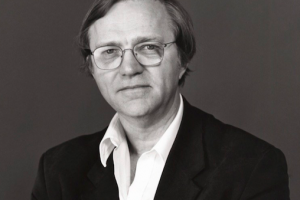 Robert Storr is an artist, critic, and curator based in New York City. Storr was the curator and then senior curator of the Museum of Modern Art’s Department of Painting and Sculpture from 1990 to 2002. Following his tenure at MoMA, he became the Rosalie Solow Professor of Modern Art at the Institute of Fine Arts, New York University until 2006.He then served as Dean of the Yale School of Art for the next ten years. From 2005 to 2007, he was visual arts director for the Venice Biennale, becoming the first American to assume this position. He has been a contributing editor at Art in America sine 1981. Storr also writes for Artforum, Frieze, and Corriere della Sera and has authored catalogues on Louise Bourgeois, Chuck Close, and Phillip Guston. He has received a Penny McCall Foundation Grant for painting, a Norton Family Foundation Curator Grant, and many more awards for his contributions to art criticism and scholarship. American Scene – Robert Storr from Halsey Institute on Vimeo.